The most technologically advanced and overall fastest production car ever built in the UK. McLaren Automotive has released the final numbers, images and information relating to its phenomenal McLaren P1™ ahead of a global reveal in just a few days at the 83rd International Geneva Motor Show. Facts that will make it the most technologically advanced and overall fastest production car ever to come from the UK. 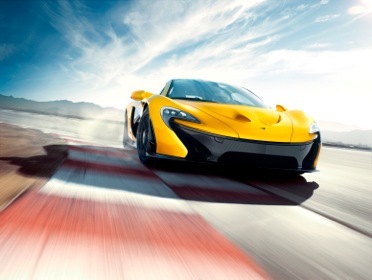 The race-inspired Instant Power Assist System (IPAS) gives the McLaren P1™ astonishing performance. Zero to 100km/h will take less than 3 seconds, zero to 200 km/h under 7 seconds, and zero to 300 km/h will be achieved in no more than 17 seconds. Putting that into perspective, that’s 11 seconds faster than the legendary McLaren F1 road car. Top speed is electronically limited to 350 km/h. McLaren has also announced that the car will have a specification that fully equips the car for both road and track use. 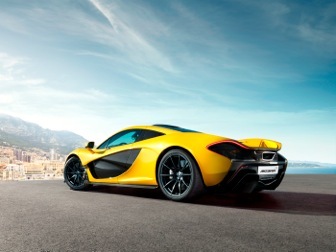 The company prides itself on designing performance cars that their owners can use regularly so the McLaren P1™ comes standard with a comprehensive specification list. The options list is limited to only bespoke content that a customer might wish to add through McLaren Special Operations, and fitted luggage.